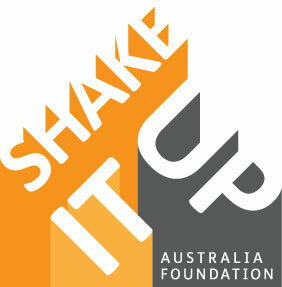 On World Parkinson’s Day we are delighted to announce our Corporate Sponsorship with Shake it Up Australia. Joining in the quest to find a cure for Parkinson’s whilst supporting those who are living with this condition are actions that we are truly passionate about. Please click on the link below to find out more about Shake it Up Australia Foundation. At Reliant we see our role as central in ensuring that our elders live their best lives – with dignity and independence. This week we were honoured to attend the 5th National Elder Abuse Conference in Sydney, along with leaders from government, academia, law, healthcare leaders and trailblazers. Although only the 5th time this conference has been held, attendance reached over 560 delegates and it is heartening that elder abuse in Australian society is increasingly gaining mainstream attention. Also significant was that at the conference the Commonwealth Attorney-General, Christian Porter MP announced Australia’s first National Plan to address elder abuse (which was a key recommendation of the 2017 Australian Law Reform Commission Report Elder Abuse – a National Legal Response). Stimulating discussion and presentations from a range of speakers, from Hon Michael Kirby AC CMG to Hon Ken Wyatt AM MP made for a very thought-provoking 2-day conference. Our sincere thanks to the Seniors Rights Service for such a fantastic event. We were proud to play a role in developing the final conference statement, an extract of which you can read below. “Our call to action to all governments in Australia: there is no excuse not to act nationally NOW against Elder Abuse. Support and safeguard those older persons experiencing abuse. As a healthcare company that provides workers to help support and care for our clients we would like to take a moment to pay respect and acknowledge the amazing work that the 2.7 million unpaid carers contribute to healthcare. Without carers, people who need support due to illness, disability, mental health, addiction or other problems would be lost. It is due to their dedication and perseverance, which we are sure many of these carers are unaware they possess, that the health of numerous people in our society manages to stay stable. As a company we have been privileged to work alongside and support the amazing contribution of the carer to help our clients engage in a life that that can live. Sometimes our work comes in the shape of well-earned respite, the giving back of the role of family member or to bring some order in an often stressful or unsustainable situation. Before this point, however, it is the pivotal role of the carer that should be noticed and acknowledged. For us then to take a moment during National Carers Week to pay respect and be in awe of the dedication that carers show to their family members or friends is the very least that we can do. As part of National Carers Week there are many activities that are happening throughout NSW. Have a look at the Carers NSW website for activities that may be close to you. We were very proud to help launch ACON’s new Ageing Health Outcome Strategy 2017-2021 which outlines the health disparities, and needs, of older members of the LGBTI community. 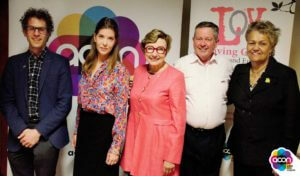 We were invited to share our experiences in catering for the needs of our older LGBTI clients. The Productivity Commission’s 2011 report, Caring for Older Australians, recommended an emphatic focus on consumer-directed choice in aged care, highlighting the need for the system to be overhauled so it could accommodate not only a significant increase in numbers, but also a more diverse range of seniors with a less homogenous set of requirements. The Ageing Strategy will seek to develop healthy ageing programs, including those to address social isolation, increase uptake of healthy ageing behaviours, and to support self-management skills and capacity for self-advocacy. Reliant provides truly consumer directed care and place huge emphasis on enabling people to live their lives as they choose and to facilitate that choice. We are proud of our commitment to encouraging clients to be themselves and of our service to our clients who are members of the LGBTI community. September is Dementia Awareness Month, a time to understand a disease that impacts over 413,000 Australians and is projected to reach over 536,000 people by 2025. While the disease and these statistics can be frightening and worrisome, there are some really important things to consider to make your family’s journey with dementia a lot easier. As with all relationships, communication is key. But you must be aware that your usual communication methods will need adapting – a shift – when you’re dealing with a loved one who has dementia. Last week we gained some valuable insights when we heard Steven Sabat, Professor Emeritus, speak at the Dementia Awareness Month presentation at the Art Gallery of NSW. He discussed the cognitive and social abilities of people with moderate to severe dementia – and how communication between people diagnosed with dementia and their caregivers may be enhanced. Here are some strategies we recommend to alleviate stress and to strengthen your relationship with your loved one, through this new challenge. (And inspired by the powerful words of the great Johnny Mercer and the Pied Pipers). We know actions speak louder than words and this is particularly the case when speaking with people with dementia. Have open, friendly body language – give a reassuring hold of the hand. Often dementia patients can be confused and anxious, but your warmth will help keep them at ease. If they’ve got information wrong, or have recalled something that didn’t occur – don’t concern yourself with correcting them as this will create more confusion. Play along or change the subject. And if you start to feel a bit frazzled or stressed, take a deep breath, keep calm and carry on. TV, radio, or a bustling environment can be incredibly distracting and may make it difficult for you to hold each other’s attention. Be sure to turn background noise off, close a curtain or move to a quiet space so you can focus on one another. Routine is also very important. Due to the confusing nature of dementia, it’s crucial to maintain a level of regularity in the day to day activities and life of a person with dementia. New environments can be very confusing and even frightening, so try to be aware of this risk factor. If you find an activity that your loved one particularly enjoys, hold onto this, as chances are it will keep working. Often the best method is highlighting the person’s interests and doing activities based around this. Did they love music? Listen to music! Art galleries? Movies? Visual and audio activities, especially those that bring a sense of nostalgia for the patient can be very comforting. You may also find going through old photo albums, or talking about stories from their youth can be a helpful topic to get onto – and one where their memories are still vivid. Try to steer clear of asking questions that rely on short-term memory. Treat all people with common courtesy, have clarity in your communication and don’t put people in a position to fail. Be very direct and don’t ask roundabout questions, otherwise you’ll find yourself on a roundabout that you can’t get off! By this we mean, try to avoid open-ended questions, or giving too many choices. For example, “Would you like to wear pants or a skirt today?” gives two very clear options. If there is confusion, rephrase your questions and maintain a non-anxious presence. Try to use people’s names rather than using pronouns like him, her, they – remembering your loved one may have lost track of very recent conversations and being specific will help keep them on course. With activities, break these down into steps rather than jumping straight into them and remember that visual cues can be very helpful. Finally, try to maintain a sense of humour – as long as it’s not at your loved one’s expense. Despite their new mindset, they still have their social skills and will love a laugh – so look for the humour and positivity in each moment, and it will be a better experience for all. With over 60% of clients with dementia, we understand the challenges but also know there is still so much space for creating special moments and enjoying time with your loved one – it just takes a little bit of patience and practice. If you, or a loved one is experiencing dementia, Fight Dementia has wonderful resources, fact sheets and suggestions to support you on this unique journey. Since day one, our mission at Reliant Healthcare has been to provide the highest standard in human care, not just health care. We are serious about enabling people to really live their best and healthiest lives in the setting of their choosing. It’s certainly an ambitious goal, but we’re determined. A task this monumental can only be achieved by working together, and that’s why we are so extremely proud to be a foundation member of Pride in Health + Wellbeing, a program which aims to raise the bar across the board when it comes to LGBTI inclusive health service provision. This is an important foundation which harnesses a group of passionate and empathetic businesses (and people, after all, that’s what we are made of!) focussed on redefining wellness and celebrating diversity in all its glorious forms. We are all agents for change. At Reliant Healthcare we’re deeply committed to not just health, but overall happiness and believe that diversity, equality and inclusiveness are core pillars of our society. We believe in doing whatever we can, in whatever capacity we can, especially during such a challenging time for the LGBTI community. Our LGBTI communities and individuals are extremely diverse and face a number of shared and distinct health and social inclusion issues. We also know that when LGBTI individuals require access to health and wellbeing services, they often hit more roadblocks, refrain from accessing critical services, and as a result, experience poorer health and wellbeing outcomes than their non-LGBTI peers. We want to change this. Working with other industry leaders including Medibank, Lifeline and Flourish we are committed to improving the health and wellbeing of Australian LGBTI communities. 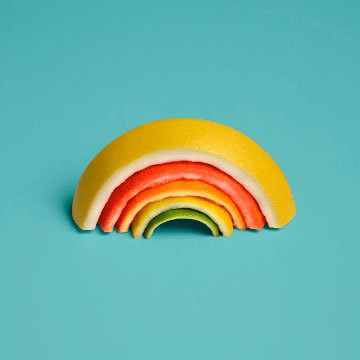 With that in mind, we would also like to share this guide, compiled by ACON, to assist other health services to support LGBTI clients during the protracted debate surrounding marriage equality. Reliant’s CEO, Alexandra Conroy, has been awarded the NSW Young Manager of the Year in the AIM Excellence Awards. The Young Manager of the Year category recognises the most successful young entrepreneurs and business leaders up to the age of 30. The category acknowledges rising stars and aspiring leaders from business, government and industry and who are making their mark in the industry in which they work. AIM (Australian Institute of Management) is Australia’s largest membership organisation for managers and leaders. Every year at AIM, 25,000 professionals take part in over 80 training programs and study towards any one of 24 management qualifications in 11 locations around Australia. AIM has provided training to at least half a million people in its 75 year history and is a trusted training partner to over half the companies on the ASX200. In her acceptance speech, Alexandra said “I’m really pleased that what we do as an organisation as well as the part that I play can be acknowledged in this way.” Alexandra has dedicated her award to her valued staff. Who moved the goal posts? Let’s face it. You’ve finished two degrees, worked hard and smart most of your adult life and are just coming to the top of your career; so you should be able to handle this, right? But your elderly parent coming to live with you and your family petrifies you to the bone. Firstly, you are not alone. 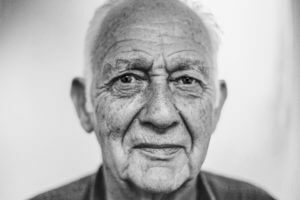 With the population ageing at a frightening rate and the government cutting health care budgets at every turn, this is not an inconceivable scenario in a lot of people’s lives and it can be tricky. Just when you finally have the corner office, after years of pouring all your energy and focus into your career, you have to learn about chronic diseases. Not to mention you have also, with some success, juggled your home life, encouraged (supported) two teenage children, a dog and some sort of social life, you are now also needing to learn about incontinence, early stage dementia, respite care, the stubbornness of the ageing population and how to navigate a host of other “what else could go wrong” scenarios. At this time a mix of resentment and guilt is probably flooding through your veins, tick that box. You can also see your “me time” or date night with your partner slowly dwindling down the proverbial kitchen sink, another tick, and where the hell do you learn about incontinence pads, tick. These are all valid glitches and although this is probably not in line with the goalposts that you cemented at the beginning of your working life you will find yourself learning to function just outside their parameters. Not only can this be stressful for you but also for your aged family member who is losing a significant amount of independence as their age becomes a reality. This is a very stressful time in many people’s lives but we do need to learn to be kind to ourselves and, of course, kind to the family member who needs care. It takes time to readjust your life when a parent comes to live with you. Talk to family members who are still living at home about what changes are expected and that there may be a period of “settling in” where life will be hectic and demand more of your time until a pattern can occur. Making time for you alone and you as part of a couple is vital to keeping you feeling supported and connected with your life. Enlisting the help of professional carers or family and friends, if your parent’s needs are constant, will give you a well-earned time out. If the move has been planned there may be an opportunity to talk to professionals about what to expect and how to find help. General practitioners or your parent’s specialists can be a great source here (Practice Nurses are generally the way to go). Remember even with the best laid out plans THINGS WILL GO WRONG. Frustration and resentment are common feelings that may raise their head again, (especially when you are racing out the door for your 9.00 meeting that you have spent weeks preparing for and your parent will just not go on their day out). This is normal if you feel frustration or resentment, and there are many people feeling the same way, remember these are feelings generally towards a particular situation that is happening in the present time rather than long term scenarios. Having back-up plans can help alleviate some of these hiccups, where for example having family, friends or again professional carers who can help-out at short notice can help ease stressful situations. Having the right equipment can help ease your role as a care giver as well as ensure that your parent is cared for in a safe and secure environment. There may have to be changes made to your home and this could be as simple as giving them a bedroom that is closest to the bathroom or to hiring hospital beds, commode chairs and other wonderful devices. Again asking experts for advice is invaluable to ensure that the equipment is appropriate and is used correctly. Occupational therapists are encyclopaedias of knowledge and they are attached to hospitals as well as private practice. This is by no means an complete list of how to prepare for an aged parent, specifically with health concerns, coming to live with you. There will be changes to you and your families lives and there will be times when you will want to hide in the closest, but sometimes it may be realising that the little things get us through. Be easy on yourself, remember that there will be a time of adjustment needed and yes someone may have changed the goalpost when you weren’t looking but that doesn’t mean that you can’t get used to their new position. Author adminPosted on May 20, 2016 Categories UncategorizedLeave a comment on Who moved the goal posts? I recently attended a conference in The Netherlands about “A life course approach to Healthy Ageing” where esteemed health professionals from Universities around the world engaged in a day’s discussion about the role that social context factors play in healthy ageing and well-being. The program involves conducting and examining research and developments at the individual level during the life course as well as the level of groups and the general population. Knowledge from the research is showing that there is a direct link between our health in old age and that of our health and social factors as young as 8 years of age. Studies of groups of individuals in the population have been conducted over many years to see what role the influence of society plays in our health. Without any surprise, the incidence of obesity in children today, which is much higher than when I was a child, does not bode well for our future oldies. Coming from a generation that had no access to the technological play toys of today, my free time was spent playing outside, competing in athletics or playing netball. Downtime was meeting your friends at the local swimming pool and trying to look cool. So with those thoughts in my mind I was feeling confident that my level of activity in my youth was sufficient enough to look after me later in life. My concern however is the here and now – I am now in my middle age years and how can I continue to ensure that my approach to Ageing is healthy? After all, I am happy to survive until old age but I want to maintain the highest level of functioning for as long as possible. My focus going forward should be active ageing, well-being and quality of life. The usual anecdotes come to mind, about healthy eating, exercise, no smoking, reducing alcohol intake and keeping my mind busy. This is all well and good but with the fast-paced lives that we find ourselves living in, it is easy to forget or frankly to find ourselves too tired to be healthy. Looking for some inspiration, I find myself thinking about my mother who will turn 80 this year. Her knee troubles her tremendously and she has recently acquired a walking stick. Determined to be healthy in her old age, and to keep her knee on the straight and narrow, she exercises regularly 3-4 times a week at either water aerobics classes or self-paced exercises in a heated pool. The outings also give her time to socialise with other people which helps keep her mind active and sharp. Boredom and social isolation can have just as much detrimental effect on our health as an unhealthy lifestyle. As my mother points out: “There are people in our group with many different backgrounds, some have disabilities or dementia who are with carers, others come on their own, some are as young as 60 or in their 90’s. Being older is not an excuse for not exercising, it is just about finding the exercise that best suits you. Being older shouldn’t mean that you cannot have a social outing and not be connected to the word. It just must be right for you and your circumstances”. Looking back I was definitely on the right track in my youth and early adult years. I somehow seem to have misplaced that outlook and need to pay some attention to my health now, so that I can ensure that I maintain my highest possible level of functioning as I age. After all Healthy Ageing should have a life course approach.